I have seen many patients come in with signs of dry mouth such as stringy, frothy saliva or a fissured tongue, but they do not think it affects their daily function as they are likely to have gotten used to it. In fact most people lose half of their saliva before they actually start to notice symptoms. 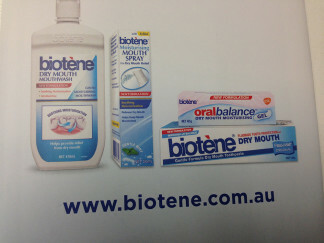 Dry mouth can, apart from causing discomfort, be an issue as it increases a person’s risk of decay and oral infections. Dry mouth can be a result of medications, age, mouth breathing, diet, sinusitis and smoking. Dry mouth means saliva is not flowing freely and has become thick. Saliva protects the teeth and allows speech and swallowing functions to perform properly. It also has repair products for the surface of the teeth, special antibodies, called IgA, to fight infections, buffers to reduce acidity in the mouth and enzymes to help the breakdown of food. There is no substitute for all the functions that saliva does! No Saliva means uncontrolled decay and very poor oral function, speech and swallowing – it’s terrible! At Seymour Dental we want you to have healthy saliva. Please read the articles below and come and see us, to pick up problems early. We want you for have a healthy lifetime!